While much has been written about the life of Jesus Christ, the details of his mother's life remain largely unknown. What was daily life like for a young woman in first-century Galilee? What do we know of Mary's other children? What happened to Mary after the crucifixion and resurrection of her Son? 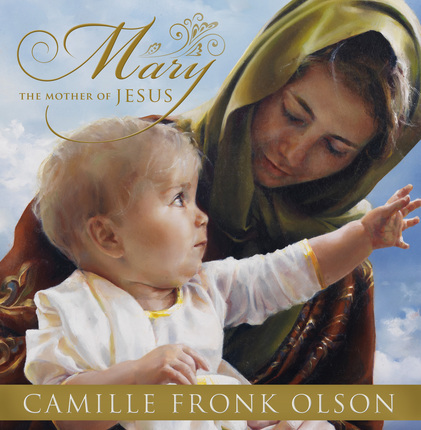 Author Camille Fronk Olson recounts Mary's story and mission to show us a woman whose life took an unexpected path, a woman who learned to balance the daily demands and hardships of life with her unique role as the mother of the Savior of the world. In discovering Mary we discover a woman of great courage and faith, one who was willing to do whatever God asked of her. Richly illustrated and beautifully designed, Mary, the Mother of Jesus provides an illuminating view of a woman whose example of devotion and sacrifice still resonates with those who likewise love the Lord and desire to serve him.